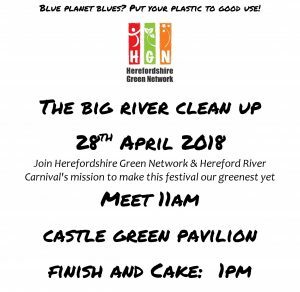 Join us as we support Hereford River Carnival’s mission to make this festival the greenest yet. 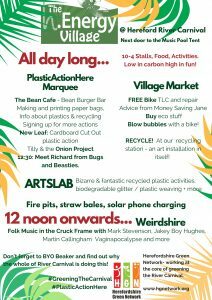 Fully family friendly, pickers supplied and prizes for biggest bag collected, and most imaginative plastic re-use idea! We now have a line up for the HEnergy area at carnival – come join us!